Eczema, also known as Dermatitis, is a group of skin diseases, common conditions include atopic eczema, allergic contact eczema, irritant contact eczema, and stasis eczema. 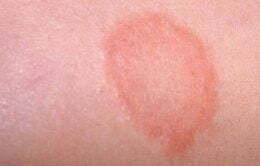 It usually is associated with symptoms such as itchiness, red skin or a rash. The exact cause of eczema is still unclear. The foods we eat, the cosmetic and cleaning products we use on our skin, the natural environment we live in and of course stress can all cause eczema. We quite often forget that the daily cleaning products we use such as facial cleaner, hand wash, soap, shampoo and conditioner are constantly in direct contact with our skin, and most of these products contain artificial additives such as colourings and fragrance which can lead to dry skin or cause allergic reactions. 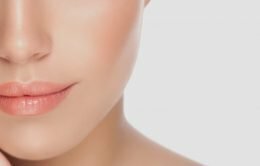 Moisturisers such as facial cream and body lotion can do more harm than good if they are rich in mineral oil, chemicals and fragrance, which most of them are. We think we are moisturising the skin while in fact we are applying toxins on the skin which can only temporarily revitalise the skin but irritate and worsen the skin conditions in a long run. Stress is another commonly known cause of eczema. We all deal with stress on a daily basis, it can come from various sources such as work, relationship problems, or children misbehaving at school. As a result, we might start to get headaches, skin allergies or even mood swings. Some studies have indicated that a gastrointestinal imbalance can also lead to eczema, and a supplement of acidophilus can offer some relief. People with eczema or sensitive skin should always be extra careful with the products that come into direct contact with the skin. By all means avoid products that contain dyes, perfumes and fragrances. Notably, the chemicals in normal detergent can remain on the fabric after wash and dry which may irritate sensitive skin. Acidic foods such as tomatoes tend to flare eczema, therefore, should be avoided if you are already suffering from eczema. Food dyes and colourings can also worsen eczema symptoms if consumed regularly. About 80% of sugary foods contain food dyes or colourings and are consumed by most adults and children without any knowledge of the side effects. Believe it or not, yellow food colouring is one of the worst food additives. If you start paying attention on food labels you will be surprised about the percentage of food that actually contain food dyes and colourings. Therefore, if you have eczema or sensitive skin, stick with everything natural – less processed food and all natural skin products. Exercise regularly can also help with eczema, if you are too busy to visit the gym, why not get off the bus one stop earlier and walk the rest of the way to work? Another proven to be effective treatment is Emu Oil, it can hydrate the skin faster than any other oil or cream. Its anti-inflammatory properties can sufficiently reduce the redness and pain associated with eczema. It can also significantly reduce irritation and inflammation caused by eczema and other skin conditions after a few applications. Emu Tracks Pure Emu Oil along with other Emu Oil products are 100% natural with no added preservatives, suitable for all skin types including sensitive skin.